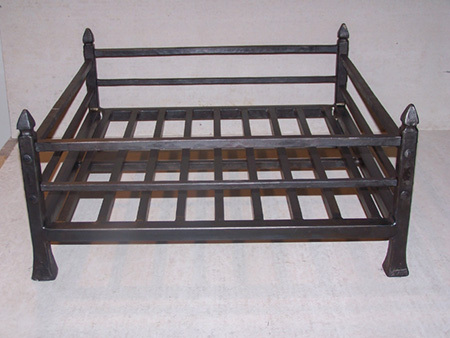 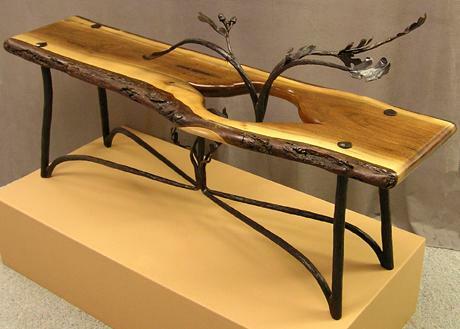 Iron is the perfect material for creating furniture. 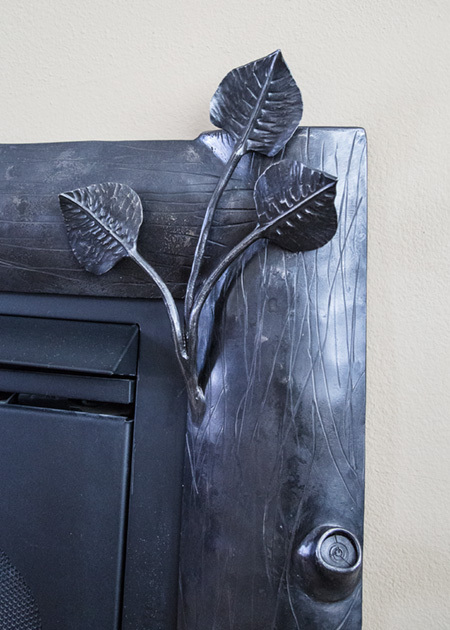 With fire and hammer, it can be shaped and formed into graceful styles and still have the strength and durability needed for heirloom quality furniture which will last for generations.. 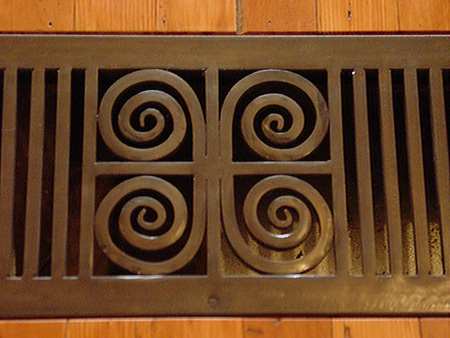 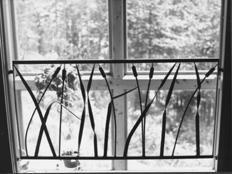 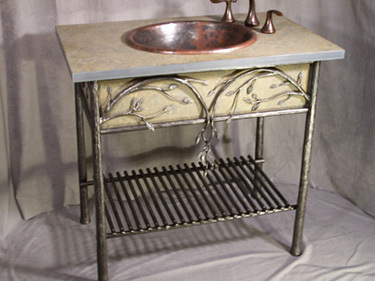 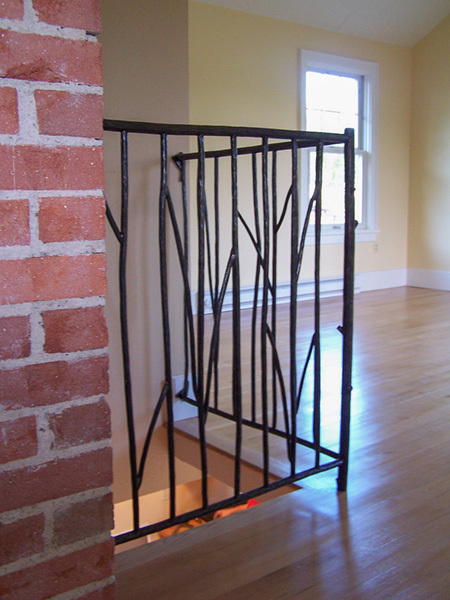 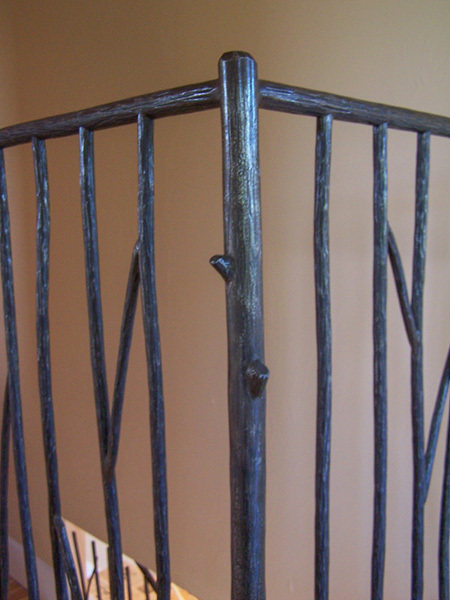 The ironwork I have created here is custom made for each individual client. 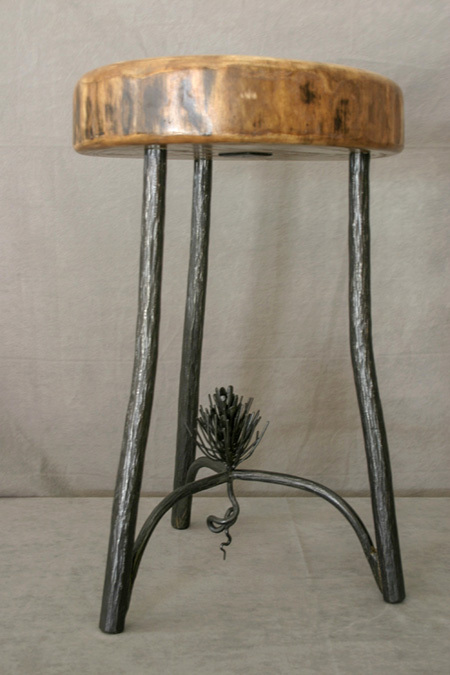 This portfolio of work is to show my creativity and to inspire you. 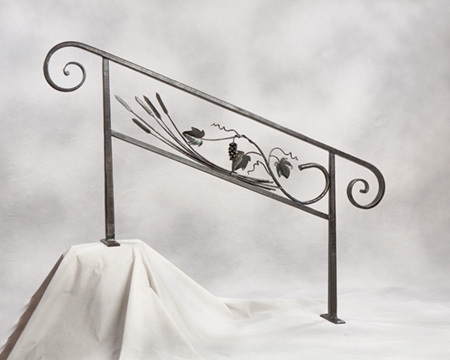 These examples include many elements to complement David's forged iron designs, ranging from finely-finished hardwoods, polished stone, soft leather, glass and more. 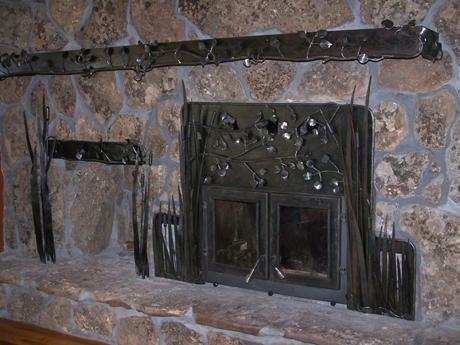 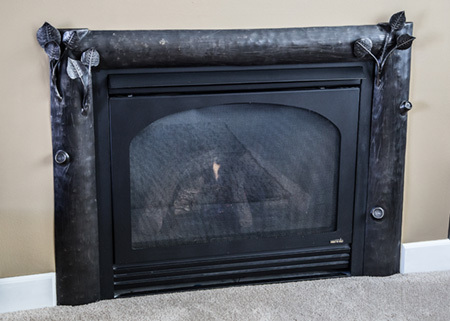 Whether you have an old, odd-sized fireplace that needs a new and exciting look or a fireplace that is newly built, David has created fire screens, glass doors, and hearth tools and more. 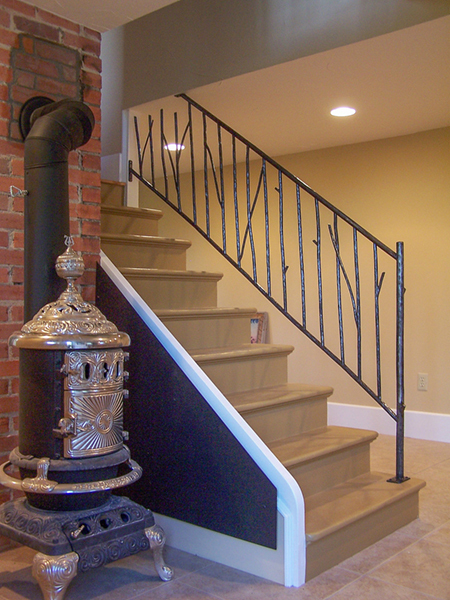 Lighting is a very important, functional part of your home or business and in this era of mass imported light fixtures, there are a lot of choices from which to select. 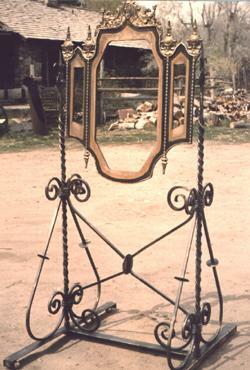 The problem is that everyone else has those same choices. 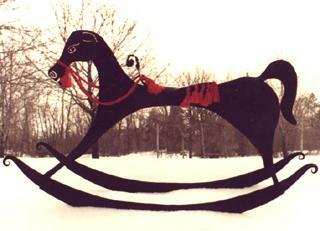 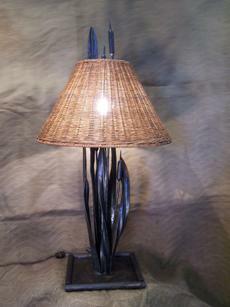 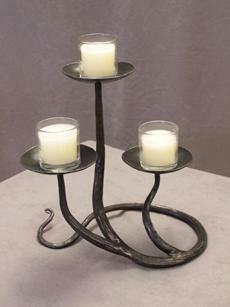 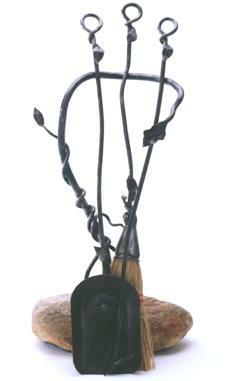 David can create exclusive forged iron lighting specifically for you that cannot be purchased elsewhere. 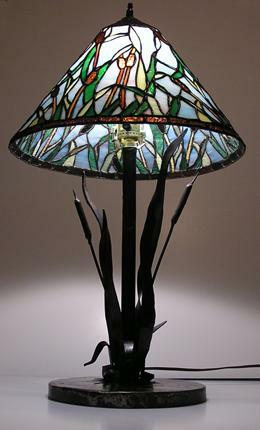 Candle or electric table lamps, floor lamps, wall sconces, and chandeliers are all designed and built one requisition at a time. 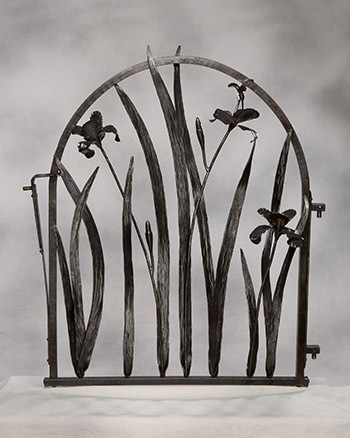 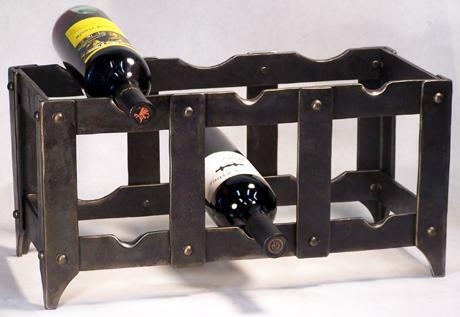 David can create hand-forged iron pot racks, wine racks, cooking utensils and other accessories exclusively designed for your kitchen. 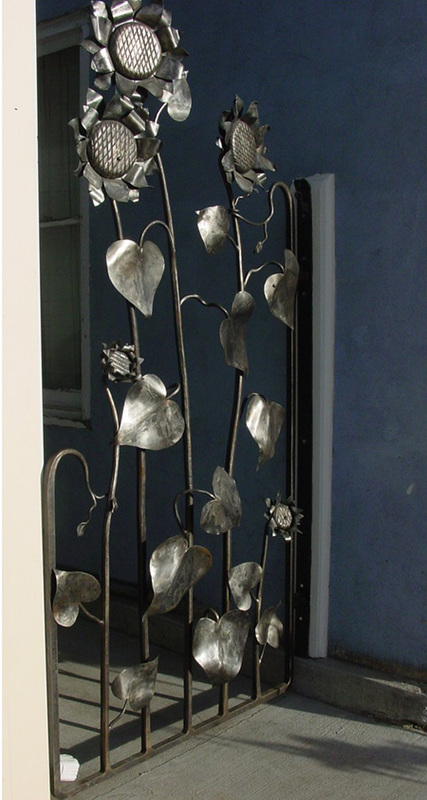 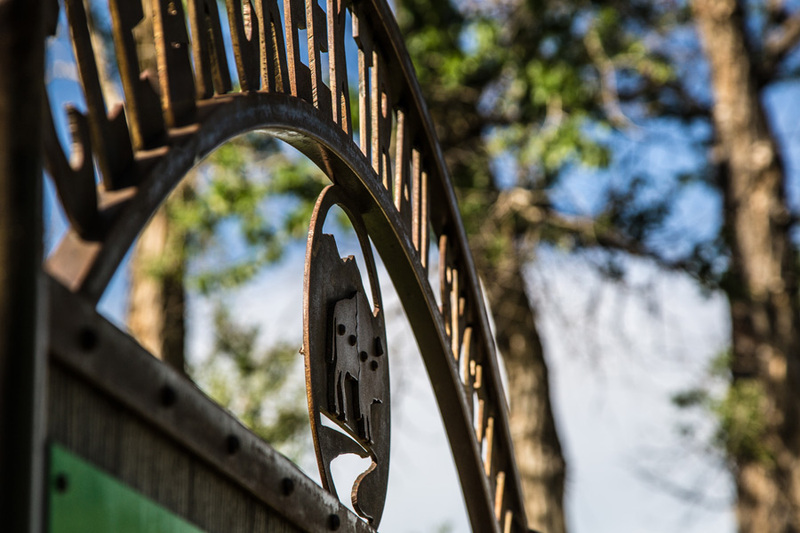 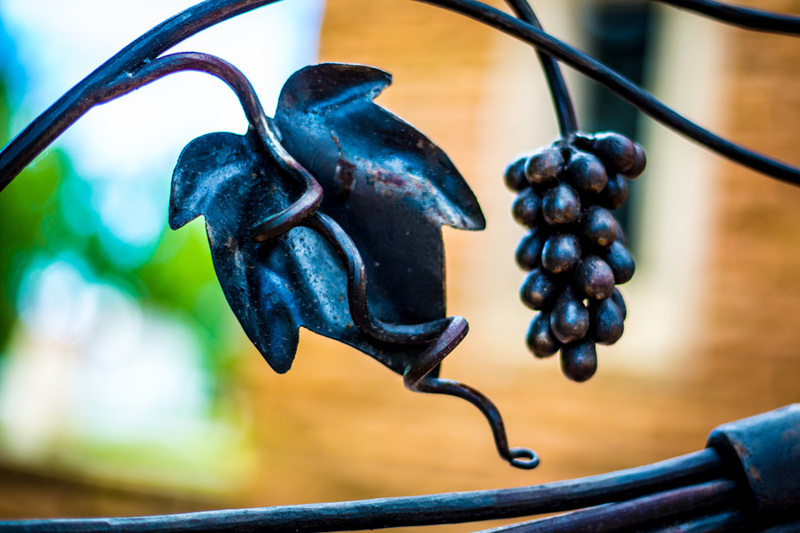 From a simple bark-textured hand rail mounted on a wall to an elaborate eight foot tall sunflower gate, David can design, build and install gates and railings according to your specifications. 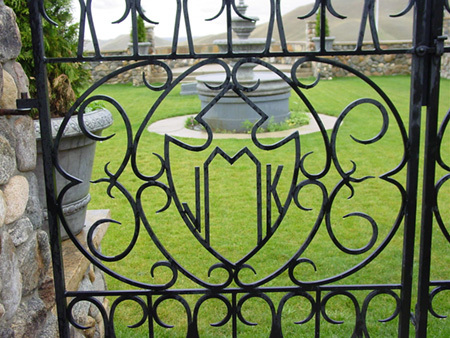 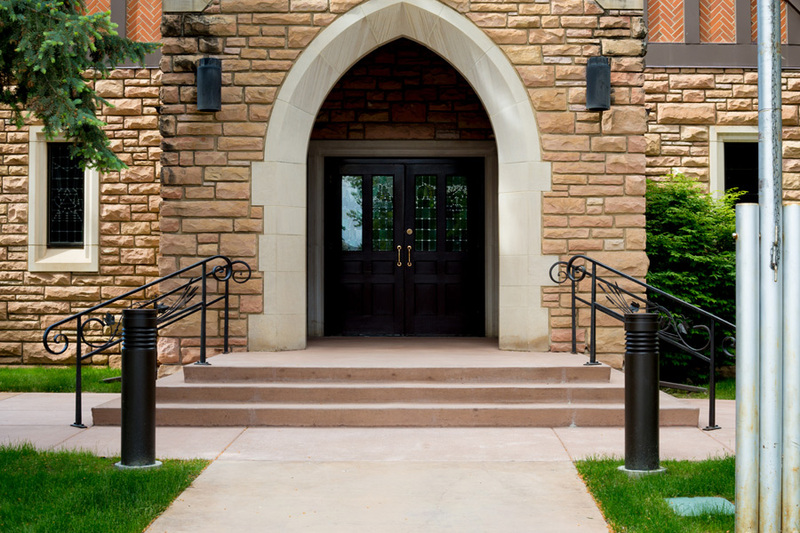 Forged iron gates and railings add artistic character as well as safety and security to your home or business. 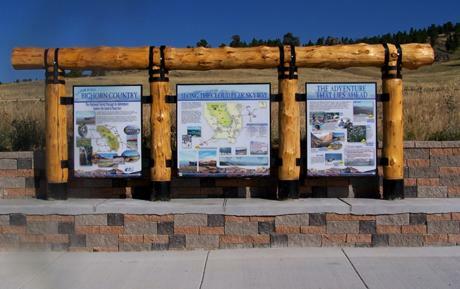 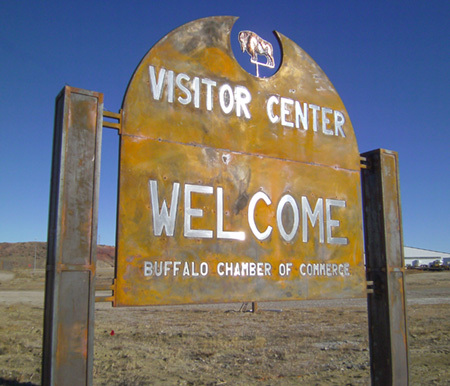 A well-designed, artistic sign can do a lot more than just mark the location of your business. 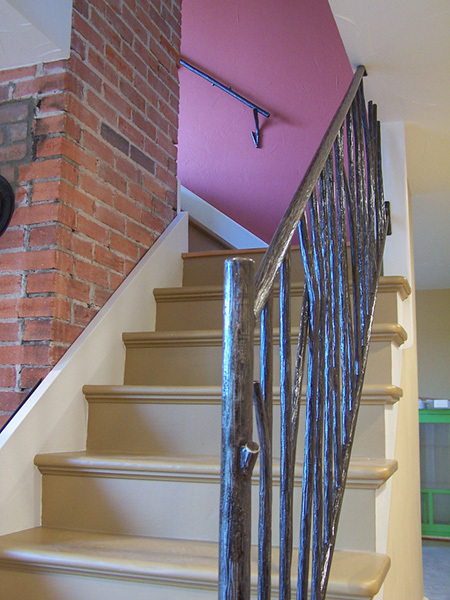 It can convey a sense of excitement and trust before your customer even walks through the door of your business. 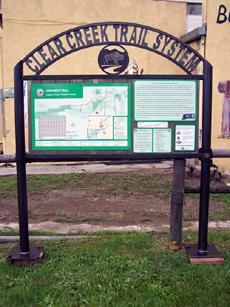 David can work with you to create a sign that best reflects the professional image you want for your business. 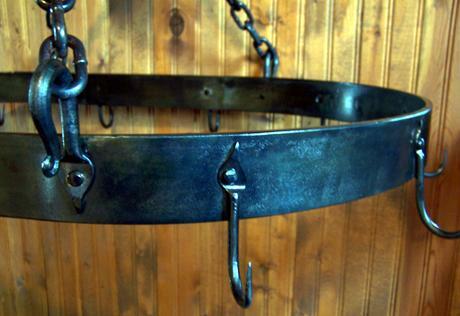 Eighteenth and nineteenth century America have been a passionate interest to me my whole life. 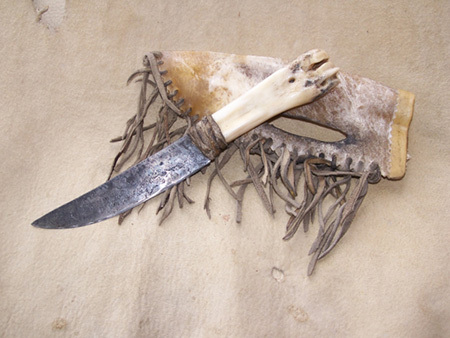 The clothes, tools, weapons and lifestyles of both the natives and the immigrants of this land fascinate me. 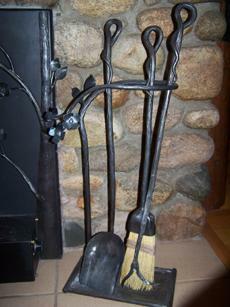 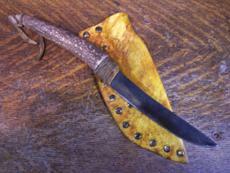 It was this fascination that led me to blacksmithing. 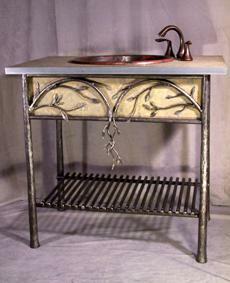 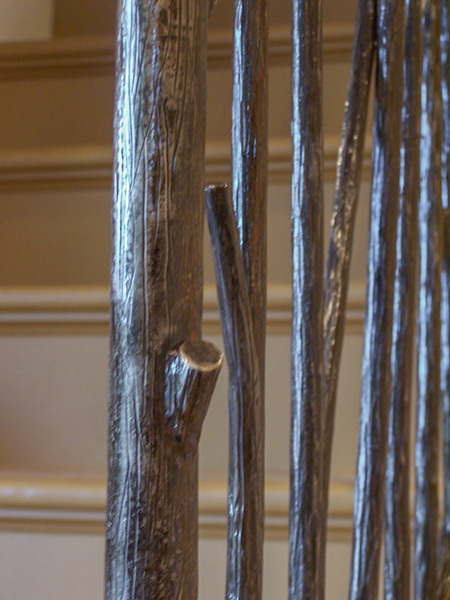 Today, most of my forge work is focused towards contemporary artistic furnishings for the home. 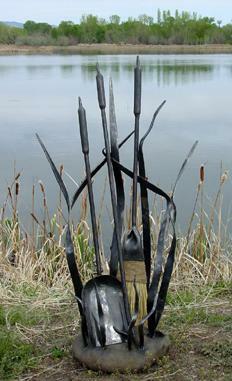 However, I still take time to re-create pieces that reflect our rich history. 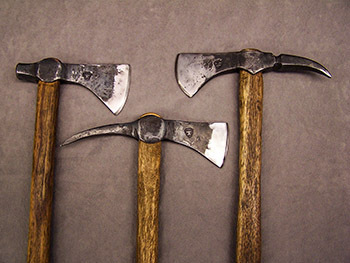 The American frontiers of the 18th and 19th centuries were both demanding and remote. 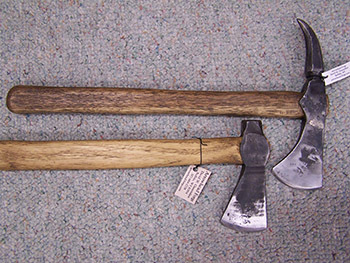 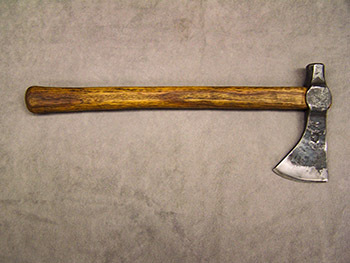 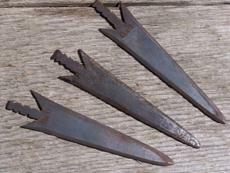 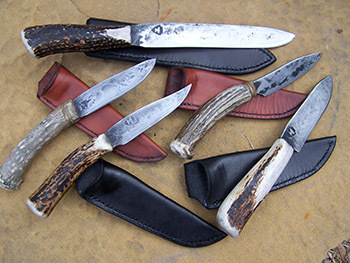 The common work-a-day knife of the hunter, trapper and pioneer was often not crafted by a knife maker, but rather hastily made by the common blacksmith using simple materials on hand.